Project Assistants Research Associates position. All the applicants who have successfully completed B.E/B.Tech, M.Tech, Ph.D. degree from a recognized Institute/university can apply for this job. 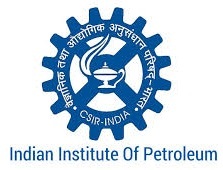 All the Latest IIP Syllabus, IIP Admit Card, IIP Syllabus Exam Pattern, IIP Vacancy, IIP Walk-in date updated on regular basis. For more jobs freshers jobs opening news, Government Jobs, Bank Jobs www.freshers-job.com. The upper age limit is relaxable up to 5 years in case of candidates belonging to SC/ST/OBC/PWD/Women. 9:00 AM at the Institute Reception on the address mentioned above.